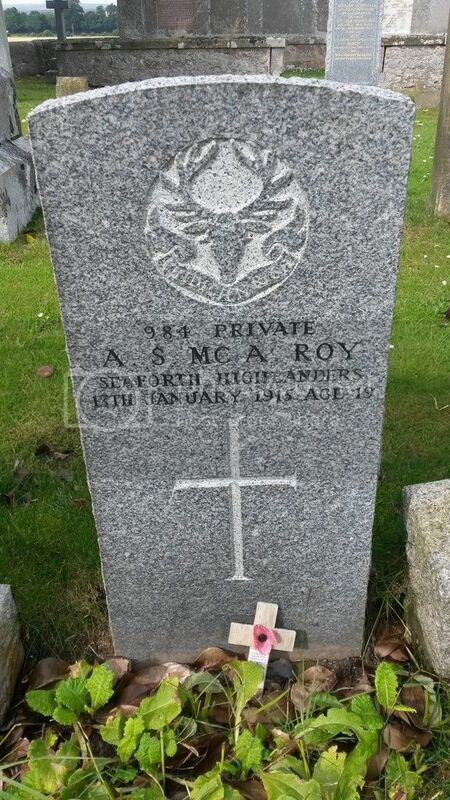 Additional information: Son of Gilbert A. and Elspet McArthur Roy, of Milestone Cottage, Fochabers, Morayshire. Grave/Memorial Reference: Eighty-four feet due West of gate. 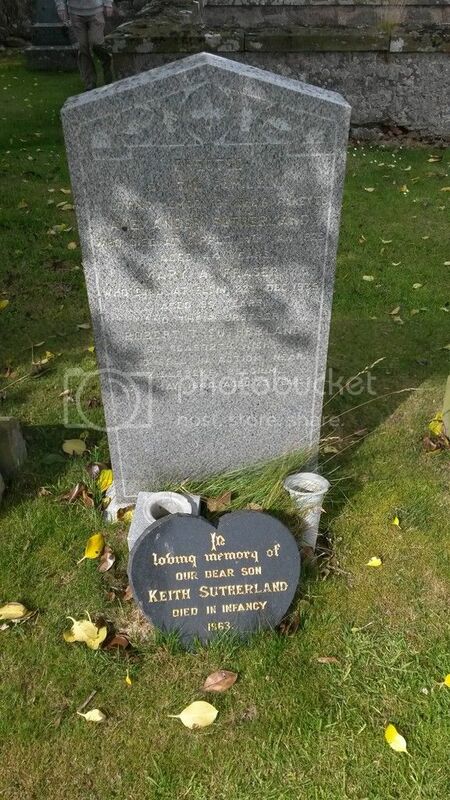 We were staying nearby so took the chance to photograph the GWGC stone and also found family gravestones. 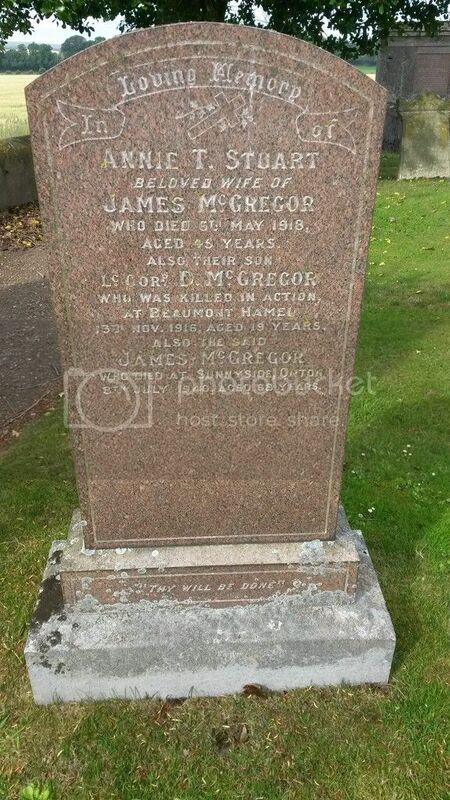 Son of John and Elsie Mitchell, of Richmond Cottage, Balnacoul, Fochabers, Morayshire. 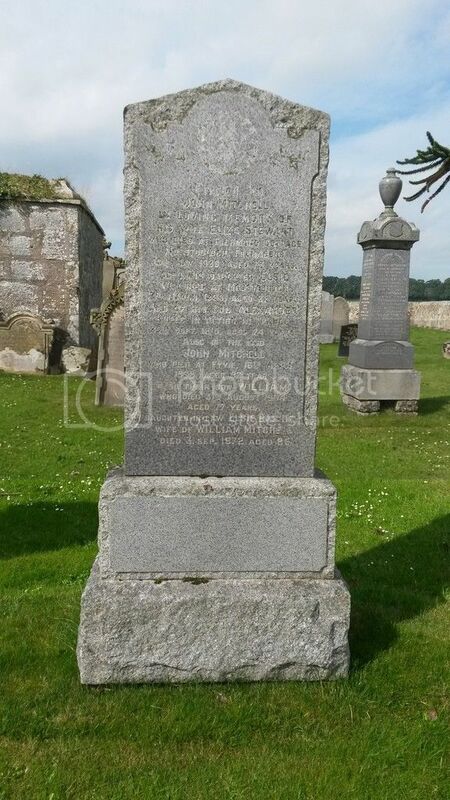 Husband of Mary Ann Rankin Mitchell, of 337, George St., Aberdeen. Grave Reference: I. M. 5. Grave Reference: Enclosure No.6 V. A. 16. 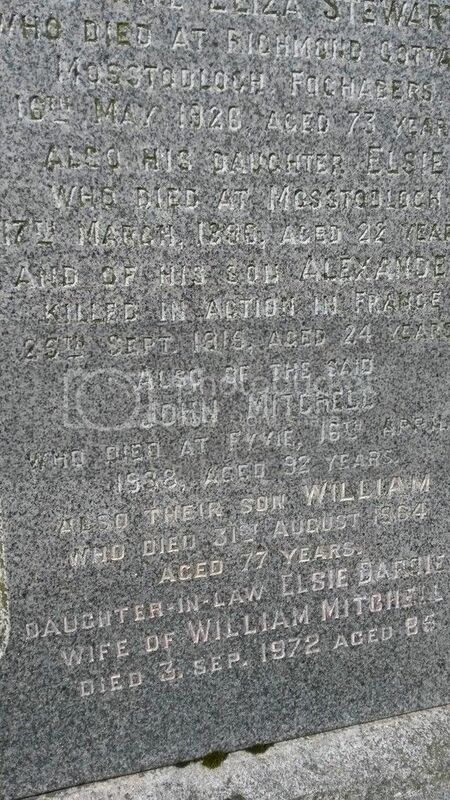 Additional Information: Son of Mr. and Mrs. Alexander Sutherland.